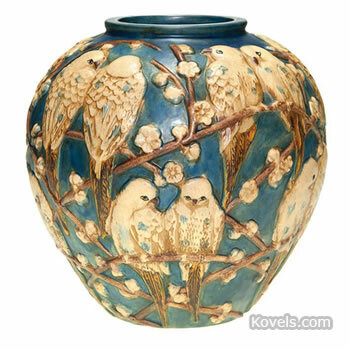 Art pottery was first made in America in Cincinnati, Ohio, during the 1870s. 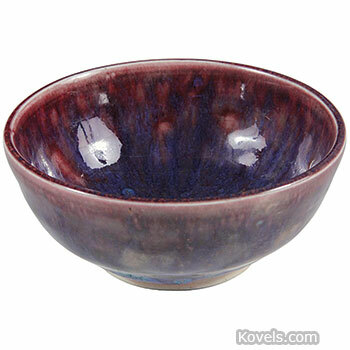 The pieces were hand thrown and hand decorated. 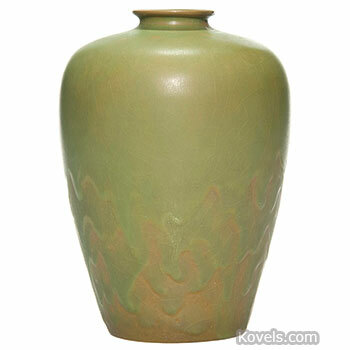 The art pottery tradition continued until studio potters began making the more artistic wares about 1930. 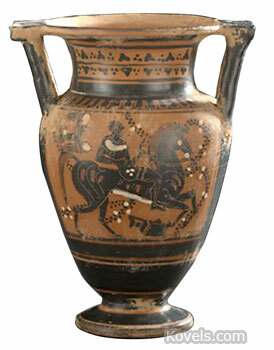 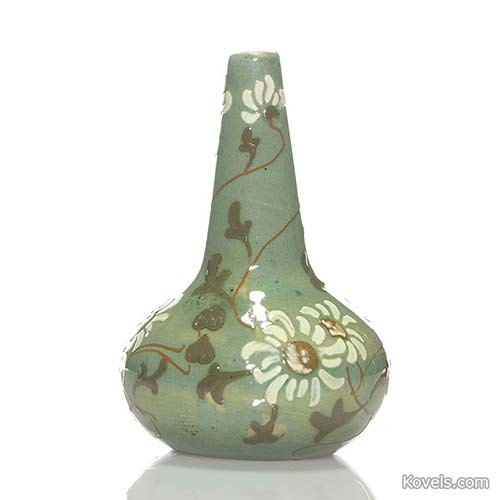 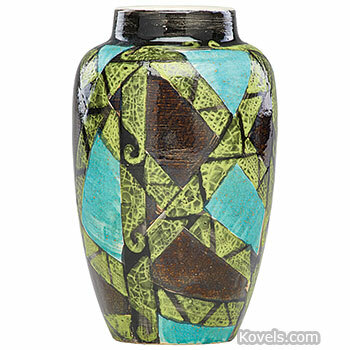 To collectors, art pottery is any pottery made by companies that produced art pottery during the 1876-1950 era. 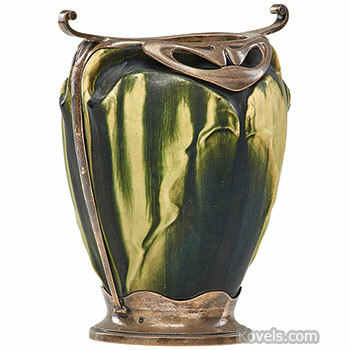 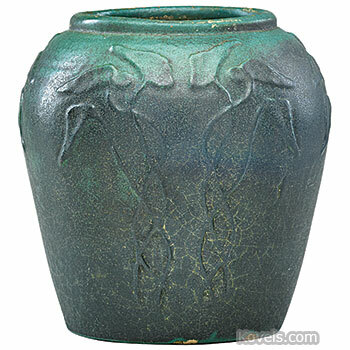 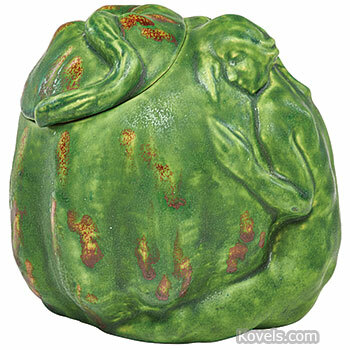 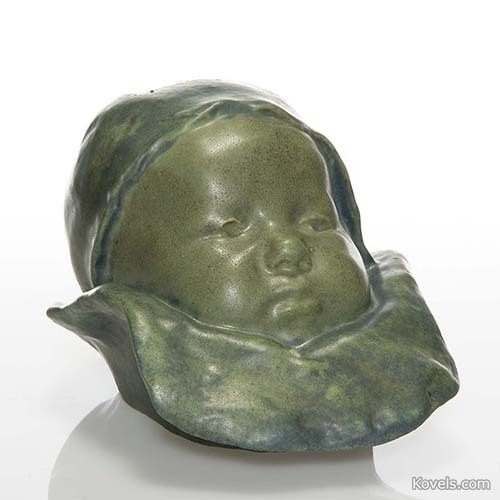 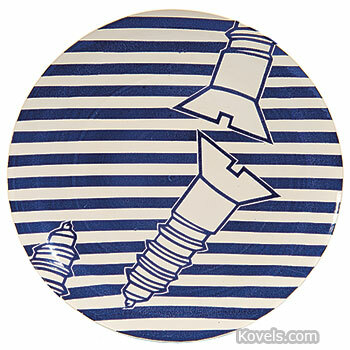 American, English, and Continental art pottery by less well-known makers is listed here. 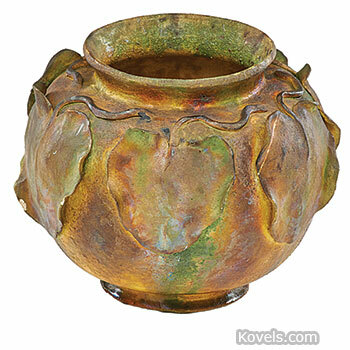 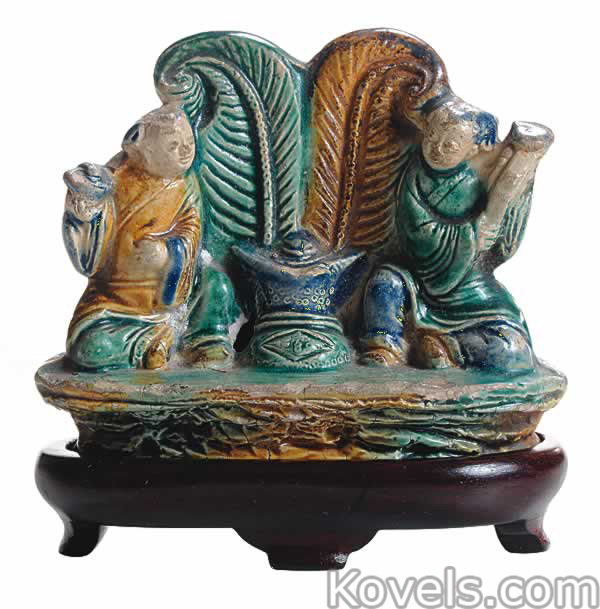 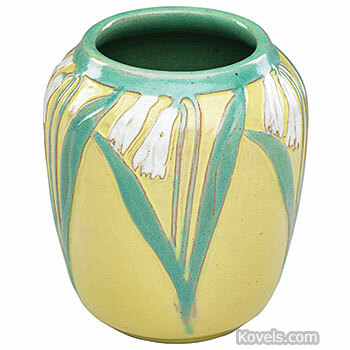 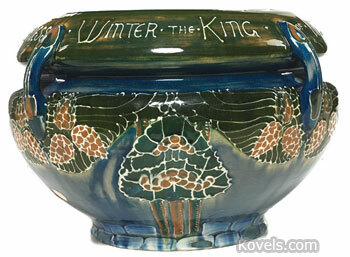 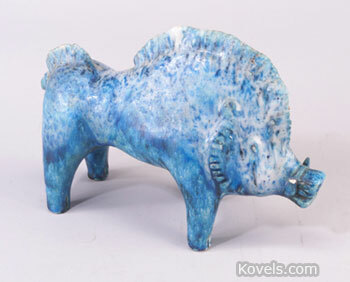 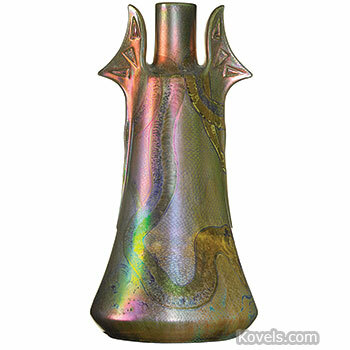 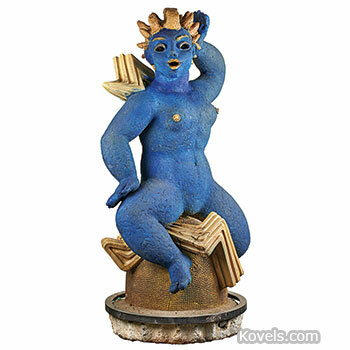 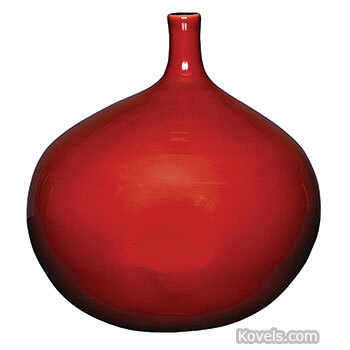 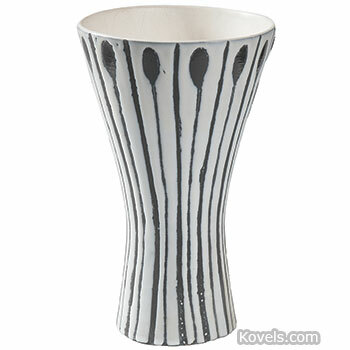 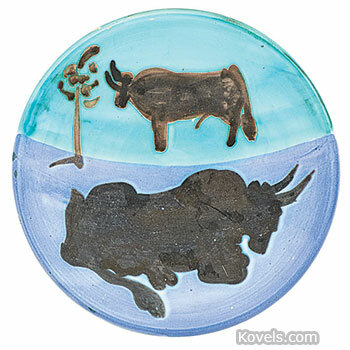 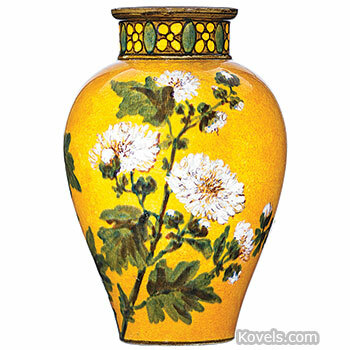 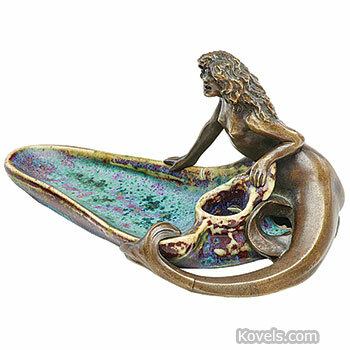 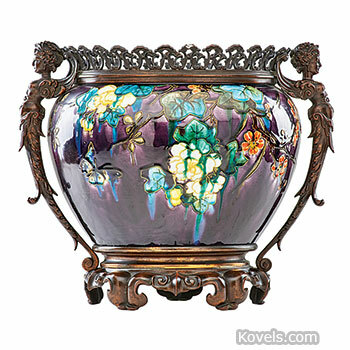 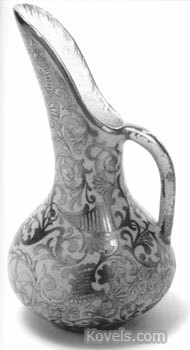 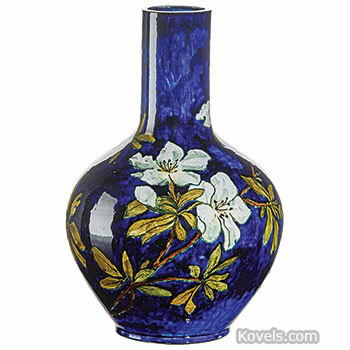 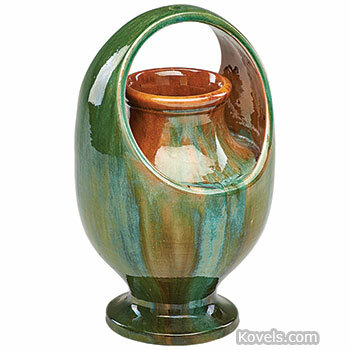 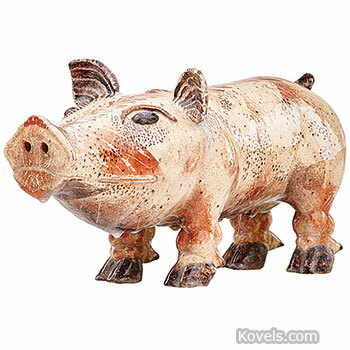 Most makers listed in Kovels' American Art Pottery, such as Arequipa, Ohr, Rookwood, Roseville, and Weller, are listed in their own categories. 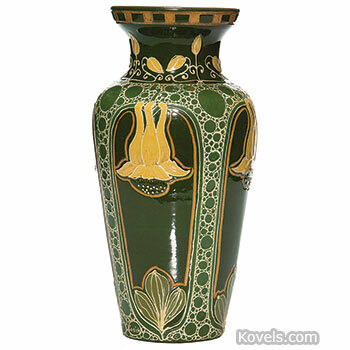 More recent pottery is listed under the name of the maker or in another pottery category.